Leah Nobel's Running in Borrowed Shoes is out now. Three years ago, Leah Nobel set out to capture the diversity of human experience and set it to music. After interviewing 100 people in public spaces like the YMCA and coffee shops and through social media, Nobel used these shared stories of joys and vulnerabilities to create her latest album, Running in Borrowed Shoes. "I think in the beginning, I was afraid that I wasn't going to be able to find people to interview," Nobel says. "But I realized a couple of things: As human beings, we want to feel connected. We want to feel like we're part of something, and I think sharing our story with other people helps us get there." To find her subjects, Nobel posted ads on social media and sat in public spaces with a sign that read "Come talk to me" in all capital letters. In an effort to find diverse voices, she even sought out specific communities like a church offering services for refugees. According to Nobel, the song "Steps" is the only direct musical translation of someone's story. "The two people that 'Steps' is based off of ... they are refugees from Rwanda," Nobel explains. "The story of steps is specifically the brother's story. He was a child during the Rwandan genocide." This album serves as a window into the hopes and fears of strangers, but there's a feeling of familiarity throughout. "I was sort of obsessed with trying to get the most diverse landscape of human experience as possible while making this project," Nobel says. "But after the fact, I realized, yes [that] mattered, but the core things that make us human, the things that we want the most, they're all the same." Running in Borrowed Shoes is available now via Big Yellow Dog Music. Nobel spoke with NPR's Lulu Garcia-Navarro about the making of the album, the individuals that inspired it and more. Hear their conversation in the audio link. How does it feel to be human? That's the question that artist Leah Nobel has been asking herself and others for the last three years to create her album "Running In Borrowed Shoes." LEAH NOBEL: (Singing) You see right through. You say come in, go on and make yourself a home. It's a gift to be truly known. GARCIA-NAVARRO: It's based on interviews with 100 people, online and in-person, about their vulnerabilities and joys, kind of like a Humans of New York but set to music. Leah Nobel joins me now from Nashville, Tenn.
NOBEL: Thank you for having me. GARCIA-NAVARRO: Why did you want to do this project? NOBEL: Well, I was feeling pressure to create something new. And I didn't really feel like I had done enough living between the two projects I had made months prior to write about something personal. And I sort of thought - oh, well, I could write fiction, or maybe I could write about other people's experiences. And I knew that I would have to interview people in order to really get that information. The idea just really called to me. And once it sort of arrived, I sort of became obsessed with it - and also because I was just looking for more meaning in my work. GARCIA-NAVARRO: And I read that you actually sat in a YMCA with a sign that read Come Talk To Me in all capital letters. GARCIA-NAVARRO: You just needed the first person. NOBEL: Yes. Yes because people had to see that it was safe. NOBEL: And sometimes, you know, I would sit there for 20 minutes or so waiting for someone and smiling at people. And you know, people were curious. They thought I was a grad student, or they weren't sure what I was doing. GARCIA-NAVARRO: And would you tell them this is for music? NOBEL: (Singing) I set you a place at the table, hoping maybe you would change your mind. GARCIA-NAVARRO: Did people just volunteer really intimate stuff, or did you have to kind of draw it out of them? Like, how did you find their story? NOBEL: Part of it had to do with the questions that I decided to ask. I wanted the flow of conversation to feel natural, but I specifically chose questions that kind of bypassed small talk. Not all the people I interviewed were strangers. Some of them were actually people I knew. And if I were to go back and do this all over again, I probably would choose to interview just strangers because I actually felt that strangers felt more comfortable sharing more with me because I think they didn't think that I had as much reason to judge them, maybe. GARCIA-NAVARRO: I want to play one of the songs that stands out to me on this album, and it's called "Steps." UNIDENTIFIED PERSON: It is breaking my heart in two steps. NOBEL: (Singing) There was a war that summer, and the blood dripped down from the pulpit. And as much as I tried to control it, I watched my heart turn black. My foundation cracked. GARCIA-NAVARRO: Tell me the story here. NOBEL: So "Steps" is the only song on "Running In Borrowed Shoes" that is sort of a direct musical translation of somebody's story. I really wanted to get the perspective of refugees for this project. NOBEL: (Singing) Left my father to rot in the prison but injustice cannot be forgiven. No hallelujah, please, for hypocrisy. Fabrice and Fiona are refugees from Rwanda. And the story of "Steps" is specifically the brother's story. He was a child during the Rwandan genocide, and he was raised in a really sort of strict, born-again Christian household. And many people in his church ended up participating in the genocide. And it really warped the way he looked at God and the way he looked at religion. And the story of "Steps" is his sort of story of forgiveness and him allowing God back into his life in a different capacity. NOBEL: (Singing) You were breaking my heart in two steps. GARCIA-NAVARRO: What do you think you've understood about the human condition after this project? NOBEL: That it's a mixed bag. NOBEL: Being a human is hard. And I was sort of obsessed with trying to get the most diverse landscape of human experiences possible. But I realized the core things that make us human, the things that we want the most - they're all the same. GARCIA-NAVARRO: Leah Nobel's new album is "Running In Borrowed Shoes." NOBEL: Thanks for having me. NOBEL: (Singing) Lost in my, lost in my coffee, Sunday, New York Times, little piece of paradise... Transcript provided by NPR, Copyright NPR. 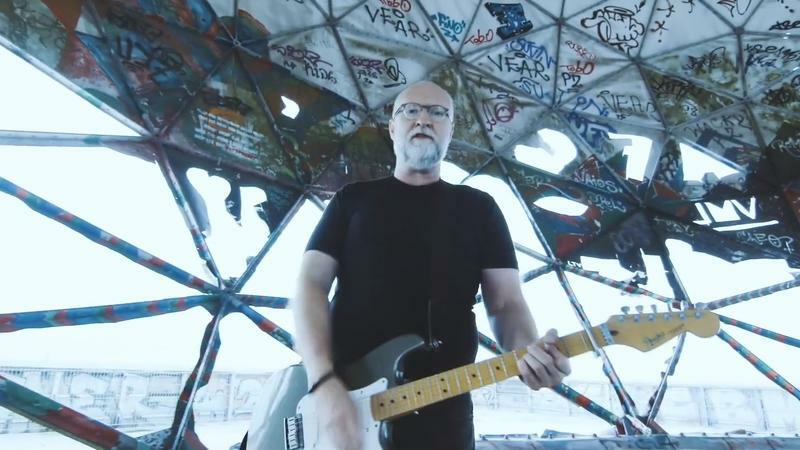 In the first 15 seconds of his new video, Bob Mould tells the world: "Dictators, terrorists and tech companies have created an apocalyptic surveillance state. The Western world has fallen into a deep state of paranoia and disinformation." 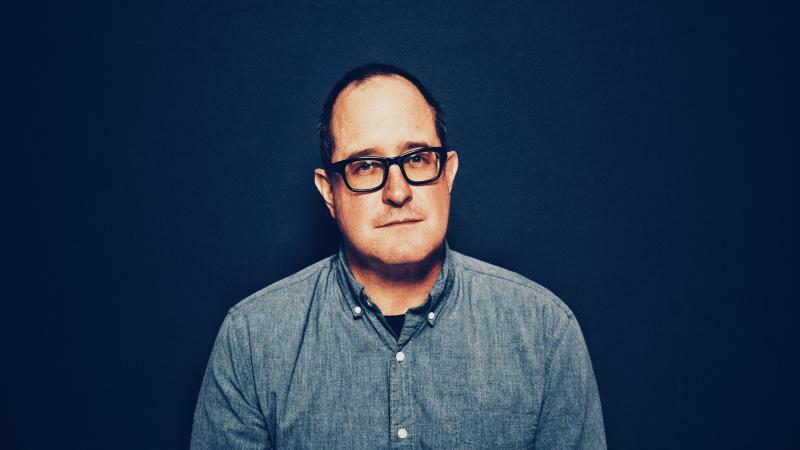 Over his songwriting career, Craig Finn's developed a reliably literary style. The thematic throughlines of his catalog demand a close reading and lend themselves to annotations; you could make a map out of mentions from his discography (in fact, it's been done).